Somehow my little guy's first birthday was already 2 months ago! How the time flies by! I'm finally getting around to sharing the pictures from it. 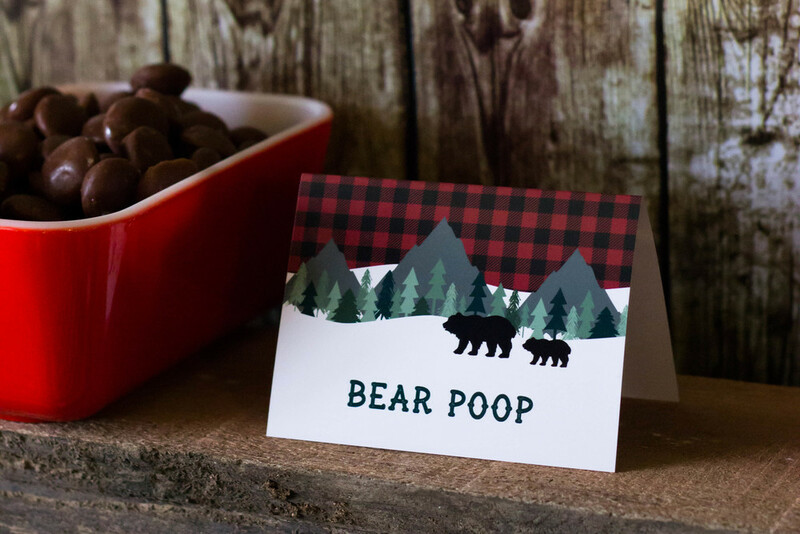 I've got some fun decor ideas and free printable favor tags for you. For those of you that don't know, being stationed in Okinawa it's usually warm and tropical all year round. This year has been COLD! 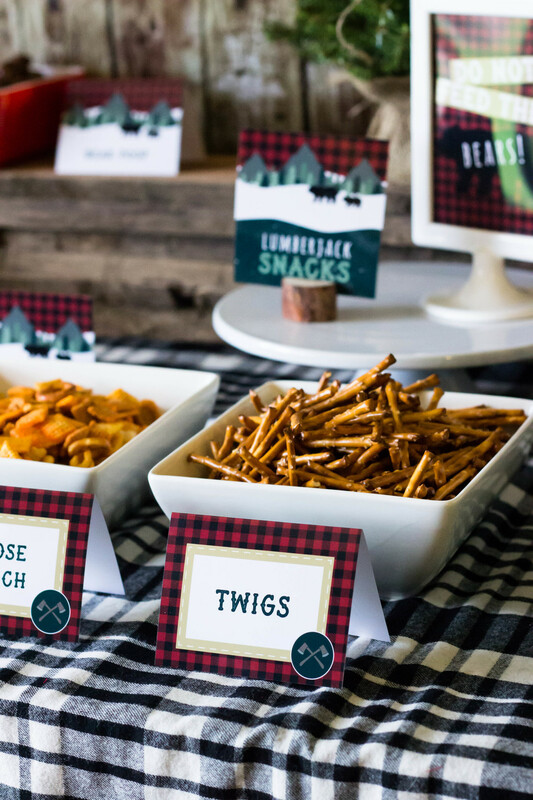 This little lumberjack party was perfect for the cooler weather. 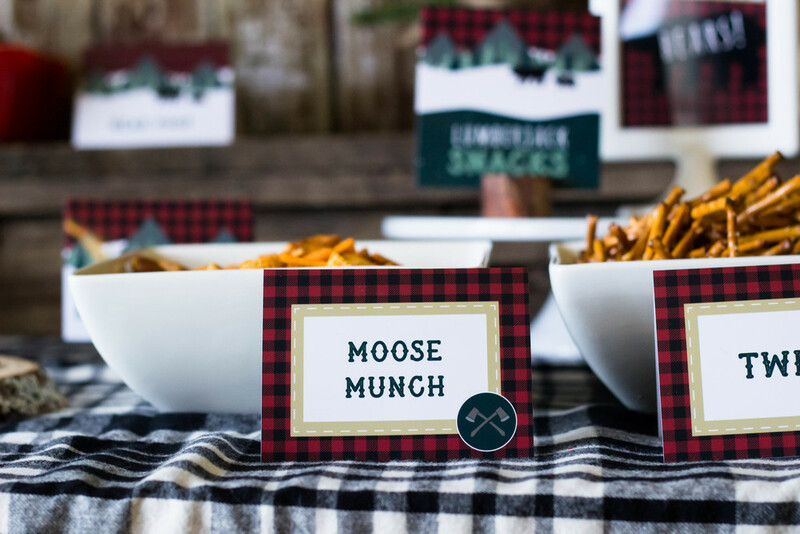 Check out all the photos below and get the free printable "Smores" favor tags! All of the printables can be found in our etsy shop mkkmdesigns.etsy.com. The party as woodsy as it could get here. We served a full on array of breakfast food complete with flapjacks, sausage and biscuits and gravy (I only managed to burn the gravy once. I am as un southern as it gets guys). There was a watering hole set up with these perfect little camping cups ( found at the local 100 yen shop). We also had a coffee and cocoa station, which was perfect for the rainy gloomy day that ensued. The banner below was a DIY with photos from each month birth to 1. It was such an easy project that turned out so cute. The banner is now up in Gryff's room. Cake stands, Trees, frames and other party items all purchased here locally on Okinawa. Get the Printable favor tags here! We LOVE to see how you party! Join us on social media #mkkmdesigns with any of your parties using our printables.